Laid down, 1 May 1944, at Albina Engine and Machinery Works, Portland OR. 398k USS LCI(R)-651 with other units of the Pacific Fleet Amphibious Force, at Maui, rehearsing for the Iwo Jima landings, date unknown. 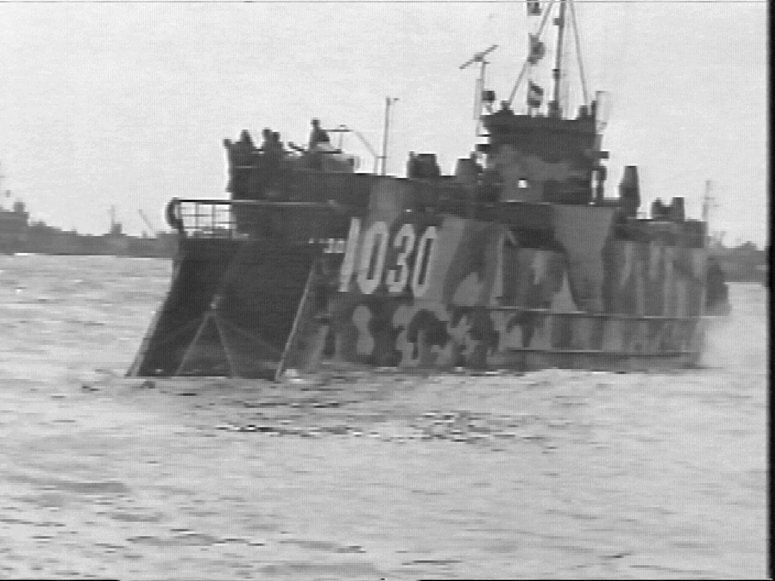 Other amphibious craft include: USS LCI(R)-707, USS LCI(R)-708, USS LCI(R)-1030, USS LCI(R)-772, USS LCS(L)(3)-56 and USS LCS(L)(3)-55.